Need a hand in the kitchen? 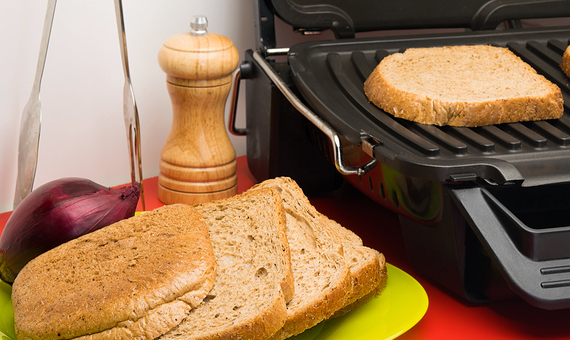 Try one of these brilliant, time-saving appliances. Everyone loves a delicious, home-cooked meal. What’s less appealing is the time and effort it takes to prepare one. Still, if you have these time-saving gadgets on hand, they can slice (dice and blend) minutes off your cooking, leaving more time to savour the meal itself. Forget the time-consuming, messy process of cooking rice in a saucepan. A rice cooker will give you light and fluffy rice every time, and, if it has a programmable timer, your rice can be ready exactly when you want it to be. Plus, rice cookers are surprisingly versatile – you can cook quinoa, porridge, hard-boiled eggs and even bread in them. Try: Breville Set & Serve Rice Cooker, $39.95, or Breville Rice Box, $99.95. Hand-held stick or immersion blenders are ideal for quick tasks that you don’t want to drag out your food processor for. They also let you blend ingredients without having to move them from the container they’re being prepared in. Use for everything from soups, sauces, dips, purées and pancake batter, and to make smoothies, scrambled eggs and whipped cream. One of the simplest ways to save time in the kitchen is to minimise on washing-up, and that’s where non-stick electric woks are genius. Use them to create speedy and healthy stir-fries, or opt for a model with a steaming tray, and you can cook fish, vegetables and dumplings with ease. 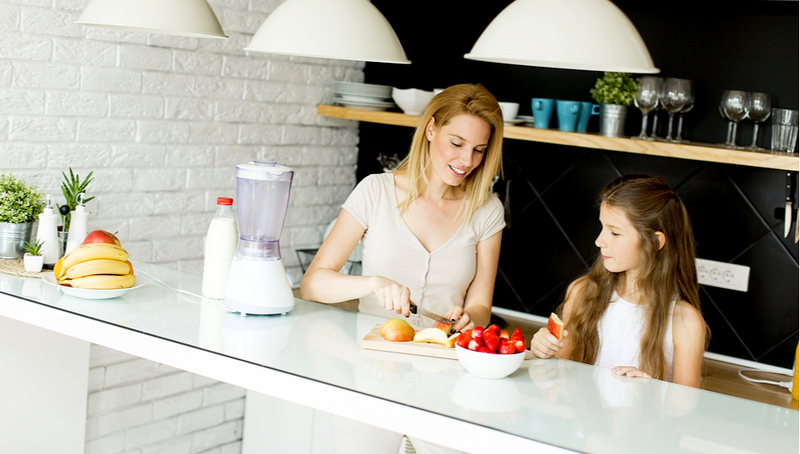 Investing in a good food processor is like having a kitchen-hand at the ready to help you slice, shred, grate, blend, whisk, purée, emulsify and knead, without requiring multiple gadgets. Some higher-end, all-in-one food processors even have cooking functions, so you can prepare ingredients for soups, stews, curries and risottos, then sit back and relax while they cook. 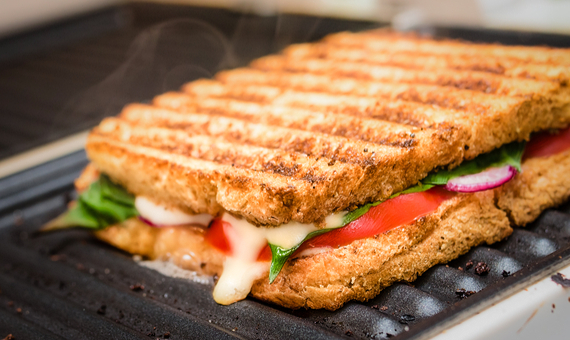 Don’t think of the humble sandwich press as a one-trick wonder: it’s actually an impressively versatile appliance that can help you get dinner on the table, fast. Cook thinly sliced vegetables, haloumi and tofu, whip up bacon and eggs, or pop cheese, beans and diced vegetables on tortillas to make quesadillas. Plus, if you buy a sandwich press and grill combo, you can grill meat without having to fire up the barbecue. Try: Sunbeam Compact Café Grill, $44.95, or Breville Adjusta Grill & Press, $129.95.